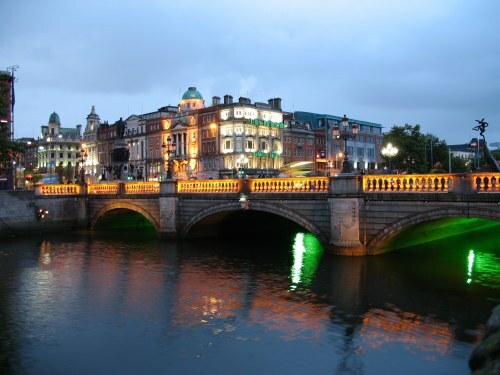 British Airways has dropped the price of their flights from Edmonton to Dublin, Ireland down to $516 CAD roundtrip including taxes. There hasn't been as many great price drops from Edmonton to Europe, but this one stood out. 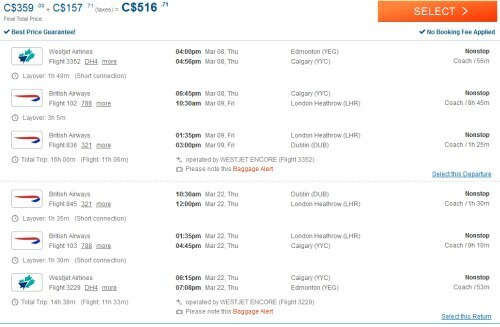 Also, Edmonton has Icelandair, who has been offering similar prices to Europe for off-season dates, with just 1 stop instead of 2. You may also want to check out the Calgary blog post at YYC Deals. Try Mon/Tue/Wed/Thu dates in the months listed above. I will update this post if I see any unusually cheap ones to these cities from Edmonton. 3. Click on the departure date box to open the calendar view and browse for the cheapest dates you can find. They may be over $1000. That's ok.